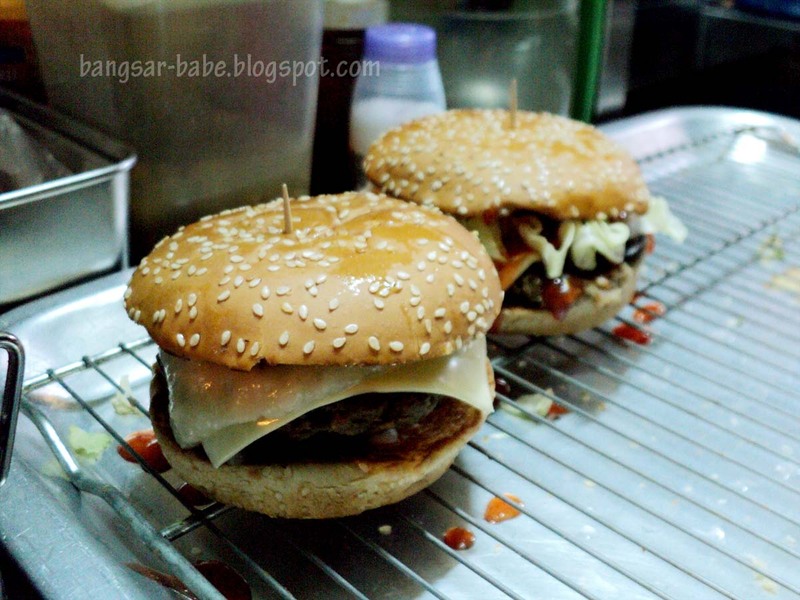 In July last year, I wrote about my Top 5 Street Burgers in StarMetro. On that day itself, I received numerous emails from readers – some asked me for directions, some told me my selections were spot on and some said they did not agree with my top five picks. 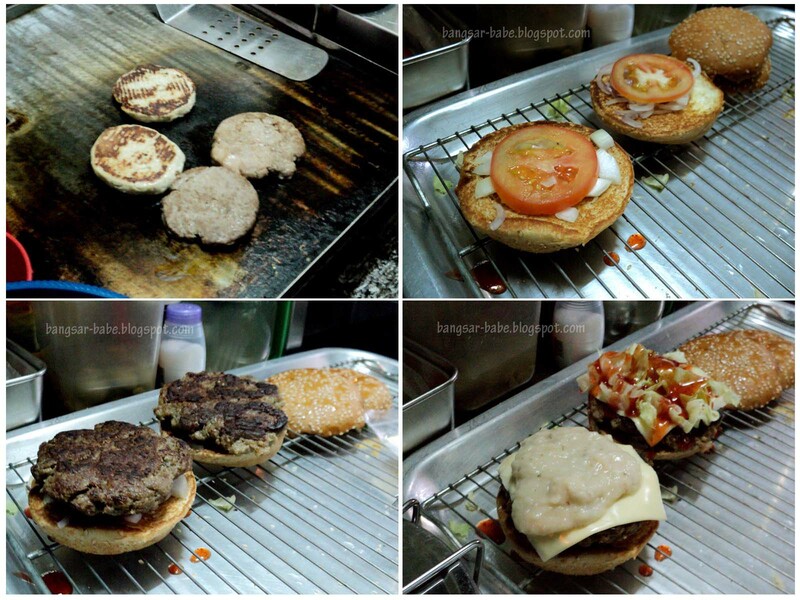 I also received emails from burger stall owners, claiming that their burgers ‘rock’. But there was one email that I kept – until today. 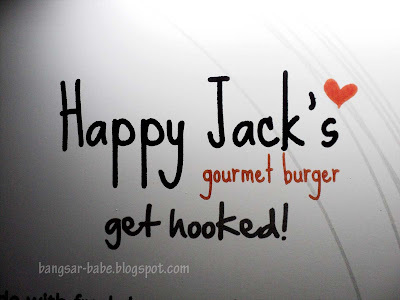 An email from a man named Jalil, who invited me to try his son’s burger stall, Happy Jack’s Gourmet Burger in Sri Rampai, Setapak. From the email, he was very proud of his son’s (Sheemi) burger business. I listed the stall down under my things-to-eat list, but the list disappeared, along with my handbag. Good thing Sheemi emailed me again, and Happy Jack’s Gourmet Burger stall was once again on my food list. After two failed attempts (one, they ran out of burger buns, and the other time, they were not open), I finally got to try the burgers. The patties are homemade, with no preservatives or artificial flavouring. All the ingredients are prepared fresh. They go by the motto: homemade, healthy and happy. 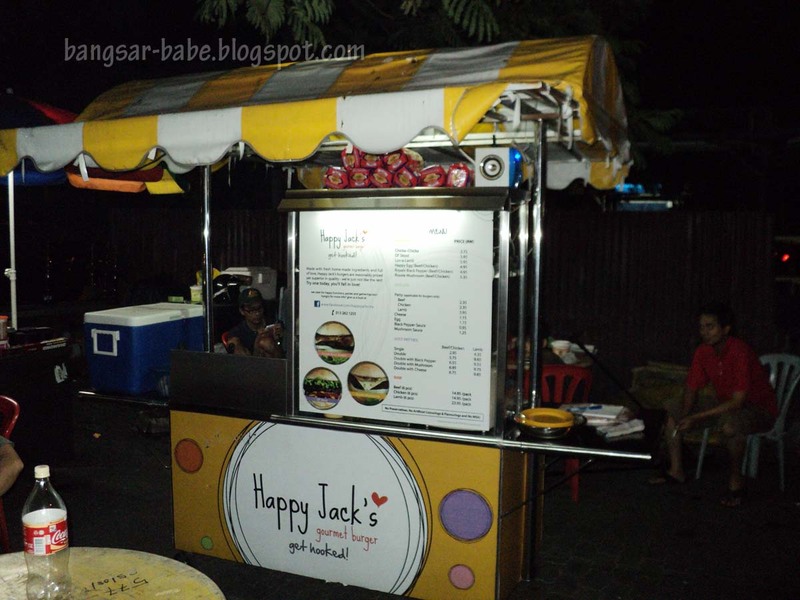 Unlike most street burgers, the burgers at Happy Jack’s are prepared with minimal oil. The patties are lightly grilled to retain moisture and flavour. Each burger is properly and lovingly prepared; the cook took the effort to make sure the sauces were evenly distributed. The end result? Beautiful, luscious-looking burgers. 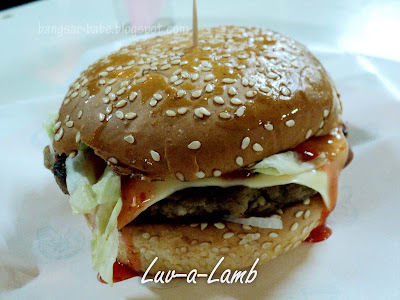 rif ordered the Luv-a-Lamb (RM5.95) and added a slice of cheese (RM1.15) to his burger. 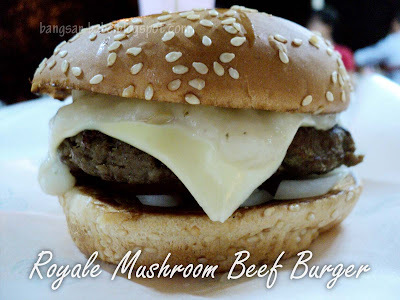 I had the cook’s recommendation – Royale Mushroom Beef Burger (RM5.35). 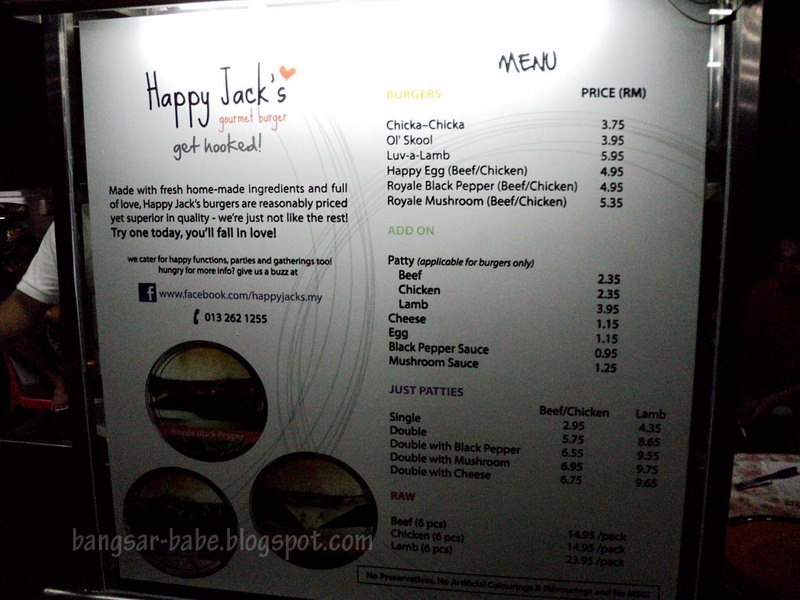 The burgers were quite good — better than many places that charge RM20 and above for a burger. I’m not going to compare them to street burgers or wagyu beef burgers – this is in a league of its own. However, I’m not quite sure of the name “gourmet”. They aim to give customers gourmet burgers at reasonable prices. My burger had a generous amount of cheese and mushroom sauce. The patty was thick, firm and beefy. I thought the mushroom sauce could use a bit of peppery kick, but rif liked it just like that. That said, it was pretty good. I especially loved the pricetag! Also worth trying, was rif’s lamb burger. Like the beef burger, the lamb patty was thick and packed a whole load of meat. 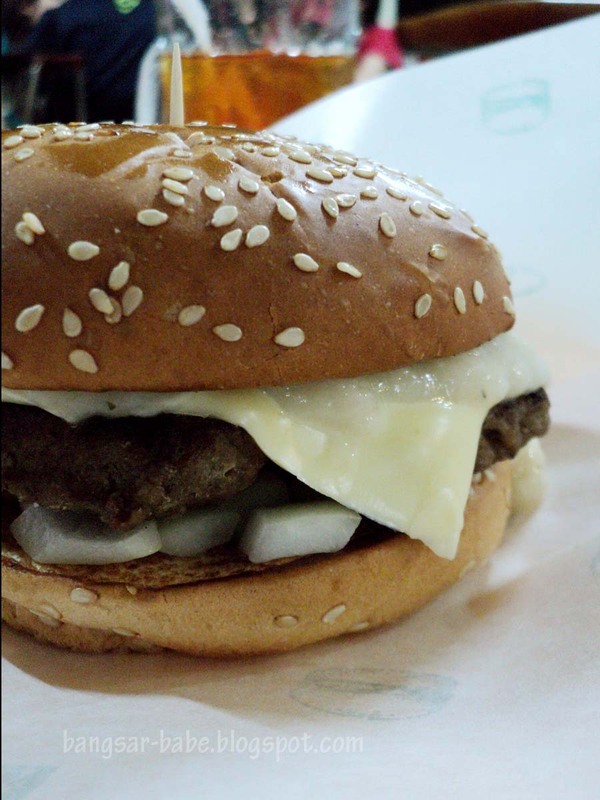 The extra slice of cheese added richness to the patty. The toothpick in the middle helped secure the burger, making it easier to eat. I also liked that the burgers were not greasy or dripping with mayo/sauces – I didn’t need to use more than one serviette. 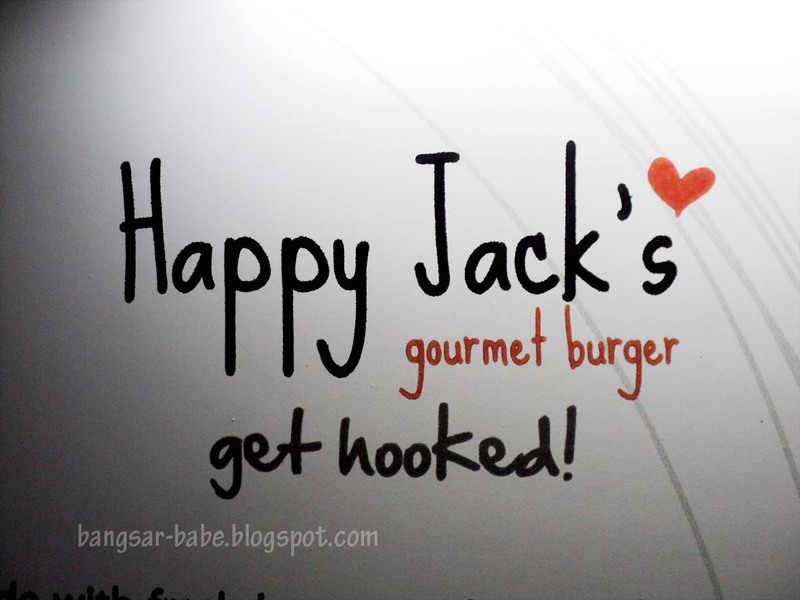 All in, I enjoyed my burger experience at Happy Jack’s. Between the two burgers, I prefer the Luv-a-Lamb because it has a stronger flavour. They have a few stalls — at Wangsa Maju, Devi’s Corner in Desa Sri Hartamas and Shah Alam. So go get yourself a good burger today! Verdict: Hearty homemade burgers and pocket friendly prices. I like! Join their Facebook page HERE. YUM! Love the price tags! And nothing beats homemade! But the size looks a tad underwhelming? So hungry I could pack about five now. Persistent entrepreneur. Deserve the success. if anything i like the personalised logo and the burgers do look indeed quite healthy sans all the dripping oil! 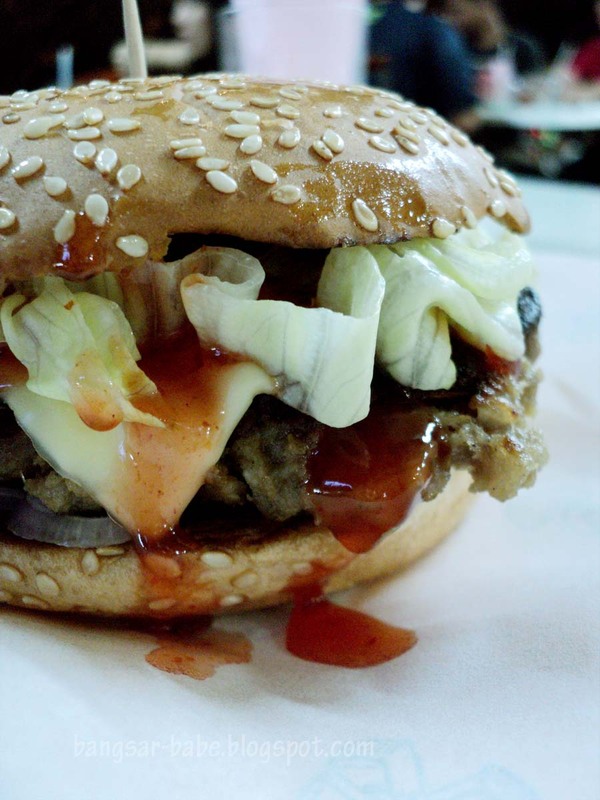 i saw an article in kosmo on OM burger and read your review. I will try it really soon….. Thanks, it's been some time since you went on a mamak burger frenzy. Miss all the luscious posts. Value for money indeed. And good that they don't smother/slather/douse the patties with oil and pan-fried them. Scarily greasy patties between buttered buns make you feel full very fast.